This is unquestionably the best Twenty One Pilots album and anyone who thinks otherwise is wrong by default. Twenty One Pilots are best when they're not trying to be rappers. I consider myself a Twenty One Pilots fan. I really liked Blurryface and Vessel was kinda disappointing, but it still had some redeming qualities. Today I noticed that I haven't listened to their debut self-titled album and I decided to open Spotify and give it a listen. And what do you know, I was pleasently surprised. rWhile I think that Blurryface is still my favourite album of theirs, this is better than Vessel. It can be more easily compared with Vessel because the quality is more consistant than Blurryface. To explain it briefly, remove Car Racio and enhance the rest of the songs. Then it becomes a pretty good album with quite a few surprises in the tracks. The biggest one being the big use of piano in the songs. I don't remember Twenty One Pilots using piano so much, but here it's in every song. Thankfully most of the time it works out pretty well. My favourite usage was probably on the song "Implict Demand for Proof", where that was probably the best part of the song. Overall my favourite track is either "Addict with Pen" or "Before you start your Day". I also really like "A Car, a Torch, a Death", "Taxi Cab" and "Trapdoor". rOverall most of it was pretty solid. As a Twenty One Pilots fan I wasn't disappointed and I could listen to it any day. I am thinking a decent 7/10 on this record. 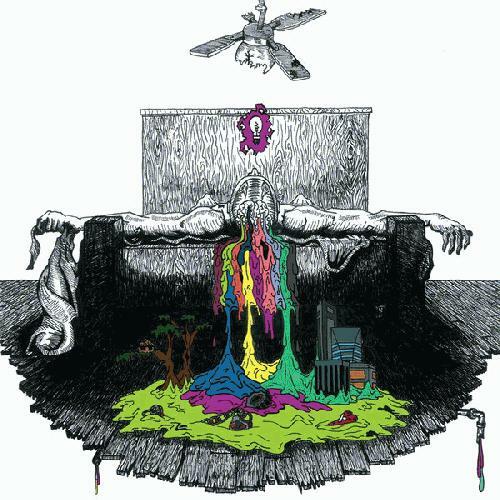 Arguably Twenty One Pilots deepest and most creative venture in their discography. This isn't a synthpop album at all, what are you smoking? neurosis, giving us one of the better experimental pop records that I know of.